Rural communities in Georgia practice a wide range of forest and biodiversity conservation techniques, which have great potential to provide sustainable livelihoods and protect the environment. This has been highlighted in a new report , released as part of the global Community Conservation Resilience Initiative (CCRI). The CCRI involves a large number of local communities and facilitating organisations, and is spearheaded by the Global Forest Coalition . 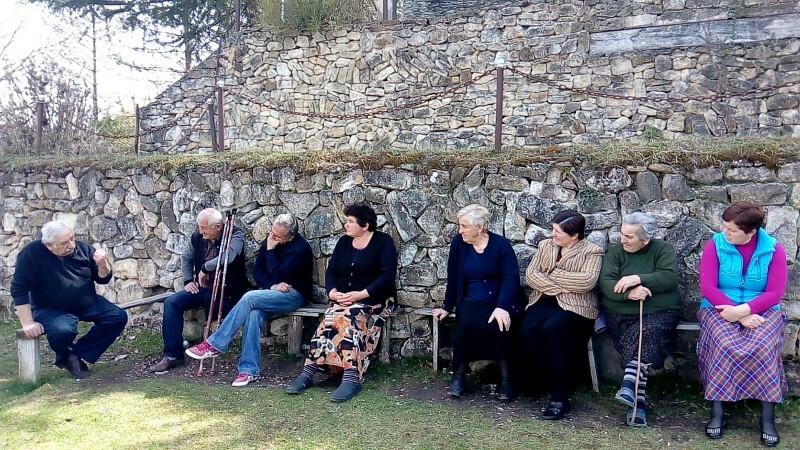 Since 2014, the initiative carried out participatory assessments in 68 communities in 22 countries, including in Georgia, to document the resilience of community conservation initiatives. The initiative is influencing key United Nations policy spaces on biodiversity conservation . The CCRI in Georgia invovled three communities – two in East Georgia (Sakorintlo and Okami, Kaspi Municipality) and one in West Georgia (in Merjevi, Sachkhere Municipality). Assessments carried out by the communities themselves revealed a number of positive conservation initiatives. In Sakorintlo, local communities have protected 100 hectares of natural oak forest from a historical energy crisis that has seen illegal logging for fire wood. In Ereda, near Okami, communities have protected 50 hectares of regenerated hornbeam forest, which has conserved enough water for six wells. In Merjevi, there is a community prohibition on people taking even the smallest stick from their forests. Despite these locally-led initiatives, the report finds that communities are facing a number of internal and external threats, which are affecting their ability to sustain their livelihoods and conservation initiatives. Communities lack irrigation infrastructure, which limits what they are able to grow, and they also experience energy poverty, which puts pressure on forests due to demand for fuel wood. Unemployment rates are also high, resulting in serious out-migration to urban areas. Although there are some local livelihood activities connected to forests, such as the collection of medicinal plants, mushrooms and forest fruits, there is no knowledge about or state support for processing or transportation of the collected products, which could create sustainable income for the villagers. The report makes important policy recommendations which could help to improve conditions and provide sustainable livelihoods for the communities. It also reccommends a focus on capacity building and awareness-raising for local decision-making bodies, to invigorate local municipalities and engage them in the development process. Addressing gender inequality was also identified as a key area for further work. The communities expressed great interest in organic farming methods and renewable energy technologies to conserve forests, protect water resources, areas that the state could support.